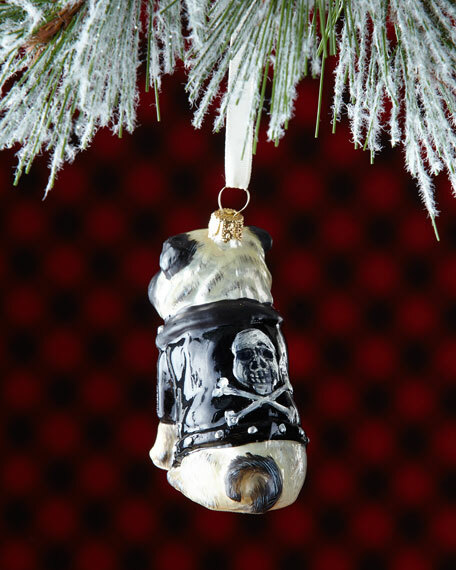 Dog breed ornament, handcrafted of blown glass. 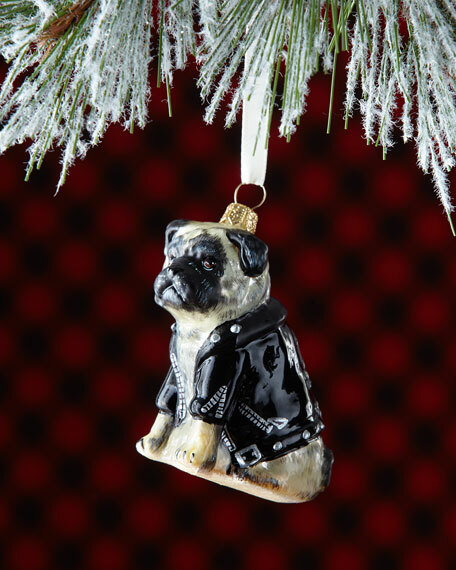 Fawn pug in Rock 'n Roll motorcycle jacket with skull-and-crossbones detail. 2.6"W x 2.4"D x 2"T.